Paper Daisy Crafting: Another Christmas card with Half Full Stampin' Up! Another Christmas card with Half Full Stampin' Up! Very quick post from me today. Still playing with the fabulous Half Full stamp set. This is another card I have come up with. I am not usually a big fan of messages on cards apart from the generic "Happy Birthday", "Merry Christmas" and so on. 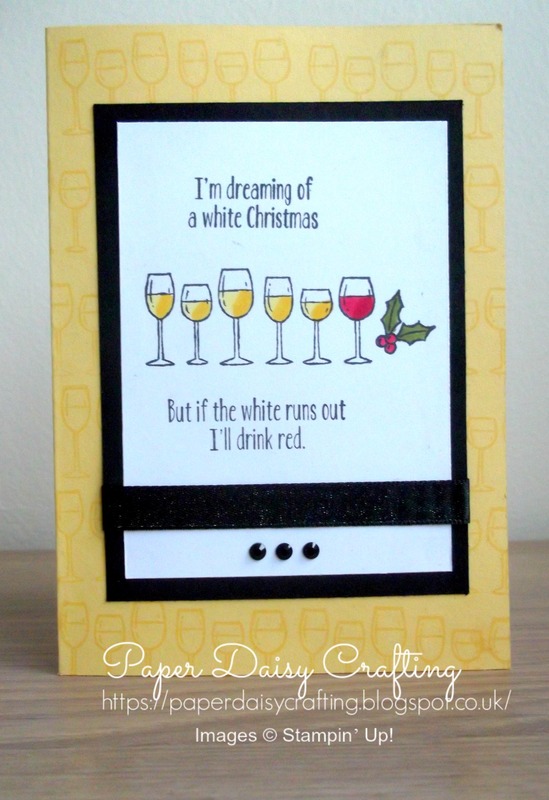 But I do love the humour of this card and it is very appropriate for some of my friends! 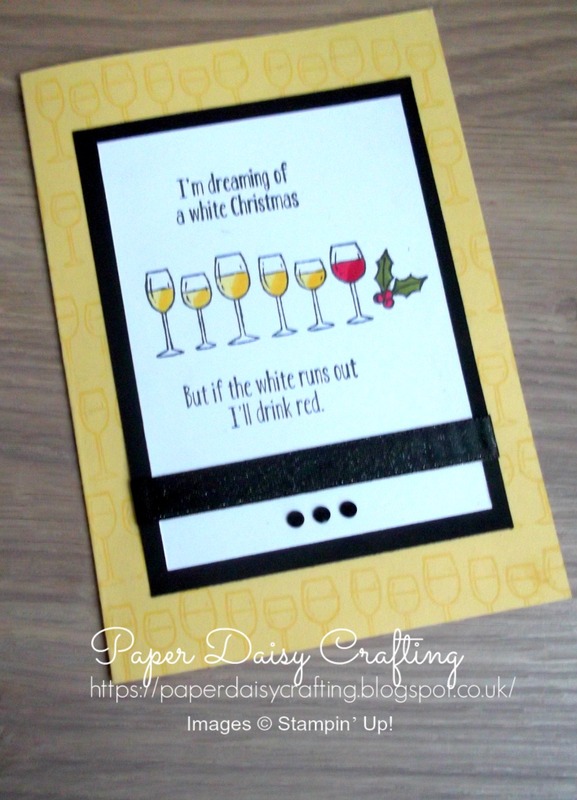 I began by stamping the So Saffron card blank with So Saffron ink with the little row of glasses. The other images were stamped with Memento black ink on Whisper White and again coloured with the Stampin' Blends. A little strip Basic Black Shimmer Ribbon and a few black rhinestones to finish it off!